BAGUIO CITY — The Department of Environment and Natural Resources (DENR) launched here this week a task force aimed at curbing illegal mining nationwide. Environment Secretary Roy Cimatu said the DENR Cordillera office is the best place to launch the task force because of the many mining activities in the upland region. Cimatu explained that the creation of the task force is to address the proliferation of illegal small-scale mining operations, which are done by individuals, groups, or communities without securing regulation permit from the government. In media interviews on the sidelines of his visit here, Cimatu said his department would strictly implement the law, even if it hurts the people, as its mandate is to protect the environment. He, however, explained that the environmental damage brought about by small-scale mines would be minimized if the operators opt to register under the DENR’s “Minahang Bayan” program. The scheme aims to register small-scale miners with the locality’s mining regulatory office headed by the local chief executive and the Mines and Geosciences Bureau (MGB) director, enabling the government to monitor and regulate the activities. Itogon town in the province of Benguet alone is already host to 66 percent of small-scale miners in the province, with the remaining 34 percent spread out in the municipalities of Tuba, Mankayan, Kabayan, Bokod, and Atok. Under the 1995 Mining Act, small-scale miners have to organize a “Minahang Bayan”. Itogon is currently conducting a Comprehensive Land Use Planning, aimed at identifying areas for the Minahang Bayan. 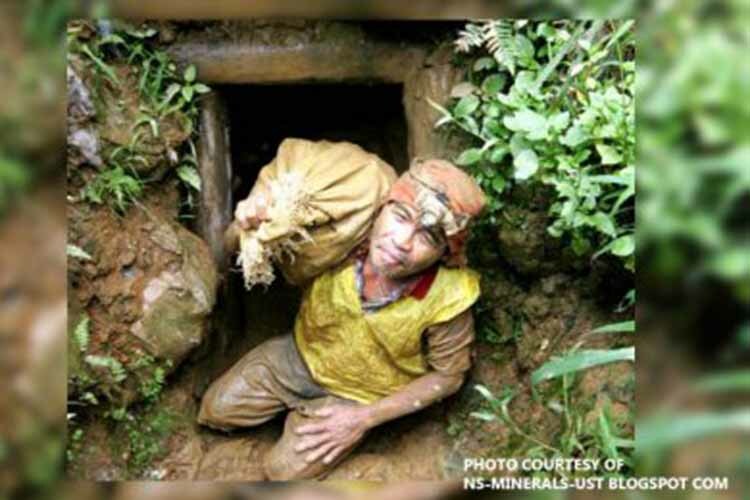 The Benguet Federation of Small-Scale Miners (BFSSM) reportedly said there are now at least 25,000 small-scale mining operations in Benguet, with 66 associations established. National Mining Task Force head Rodolfo Garcia said most of the small-scale mines are illegal, and these unleash untreated water into the rivers, creeks, and other water systems, harming the environment and the communities. Garcia added the anti-illegal mining task force has a challenging job but would pursue its mandate not only in Baguio and Benguet but in other mining hotspots as well. During the DENR officers’ visit here, they closed a small mining site under the Philippine Military Academy’s main administration building in Baguio. The mining site, which was reportedly concealed from PMA authorities, was closed by the DENR after causing an explosion at the mine’s mouth or opening.